Seemingly simple acts of classification can have enormous consequences. Last year, James May – a co-presenter with Jeremy Clarkson of Top Gear – took a spin in an unusual vehicle developed by the Russians called an Ekranoplan (see the BBC video). 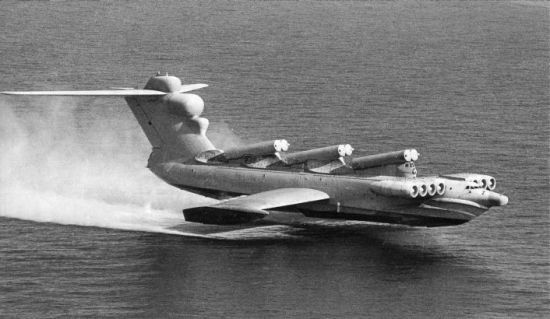 What’s unusual about the Ekranoplan is that it’s a hybrid between a boat and an aircraft, a class of vehicle known as a Ground Effect Vehicle or GEV. GEVs rely on aerodynamics in combination with the ground effect. ‘Ground’ has to be defined loosely here, because GEVs are mainly confined to water surfaces, these being more consistently flat than most terra firma. That poses a problem for KO: is a GEV to be classified as an aircraft or a boat? Does it matter? Well, in the scheme of things, it appears that classification can make or break a technology. A previous GEV – the hovercraft – was classified as essentially an aircraft, making it subject to the same stringent regulations applicable to true aircraft. That proved to consign the hovercraft as a public transportation vehicle to the scrap heap (although I made a very comfortable crossing to France on one in the 1980s). Hovercraft are now mainly confined to the domain of hobbyists. But, I suppose we ought to be grateful at least that we don’t need a pilot’s licence to use a hover mower on our lawns. The Ekranoplan and its ilk on the other hand, have been classified by the International Marine Organization as a ship, and are therefore subject to far less stringent regulations. So hovercraft technology is detained indefinitely whilst other GEVs are released without charge – all through an act of classification. Thanks to Max Boisot on the Cognitive Edge blog as the source and inspiration for this post.